Sometimes Pinterest pins and interior design magazines just aren’t enough to help you visualise a living, fully functional living space that’s also stylish. From simple interior design ideas to Parisian themed, these Malaysian venues will give you just the juice you need. Have no idea where to begin with your home decor? Let these Instagram-worthy eateries steer you in the right direction. Sometimes Pinterest pins and interior design magazines just aren’t enough to help you visualise a living, fully functional living space that’s also stylish. Nothing beats visiting a venue to get the feel of things before taking the plunge and deciding on a theme for your space. 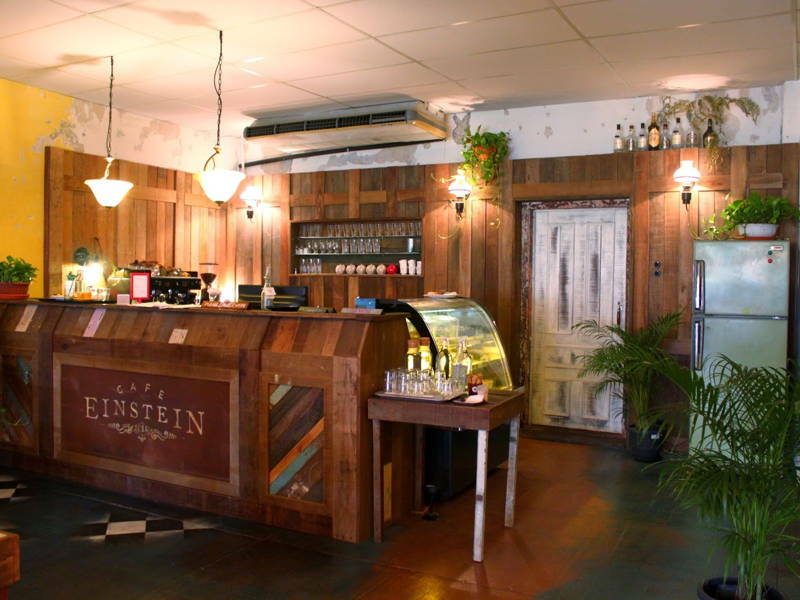 Amidst the bustling sidewalks of Petaling Street sits Einstein Café. 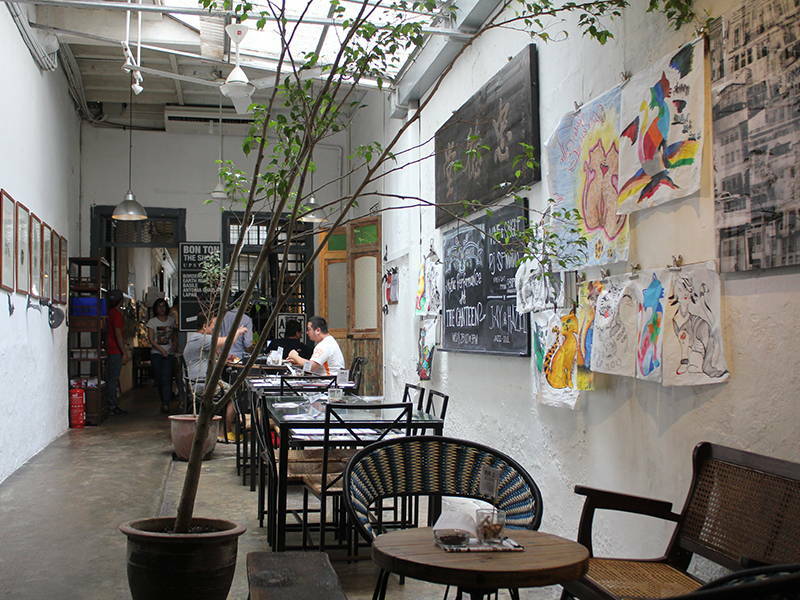 Opened by two teachers, the space has a unique and rustic charm to it. Reminiscent of 20th century German-inspired interior as an ode to the genius himself, Einstein Café is a tasteful blend of a monochromatic colour palette with pops of colour. The patchy paint job and vintage wooden furniture is perfect for homeowners who seek to unearth the a rustic retro feel in their home. 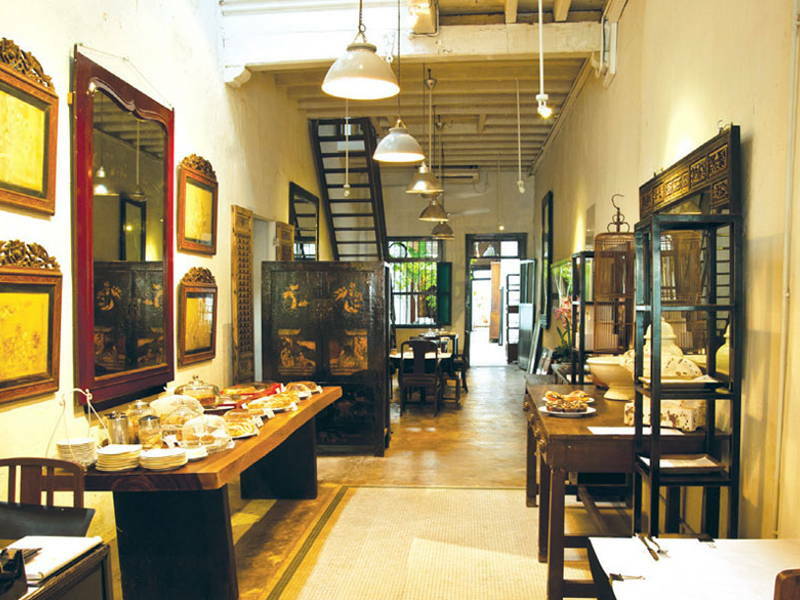 A visit to this gem in in Ipoh Old Town will leave you talking about it for weeks to come. The space acts as both a hotel and a café (located behind the reception). Designed with the idea of nature and retreat in mind, the venue is almost taken over by its ceiling to floor wooden elements. The private room of the café attracts quite the crowd with the addition of cage like flooring with streaming water and even swimming fish. So if you like wooden and nature elements, this venue will surely knock your socks off. 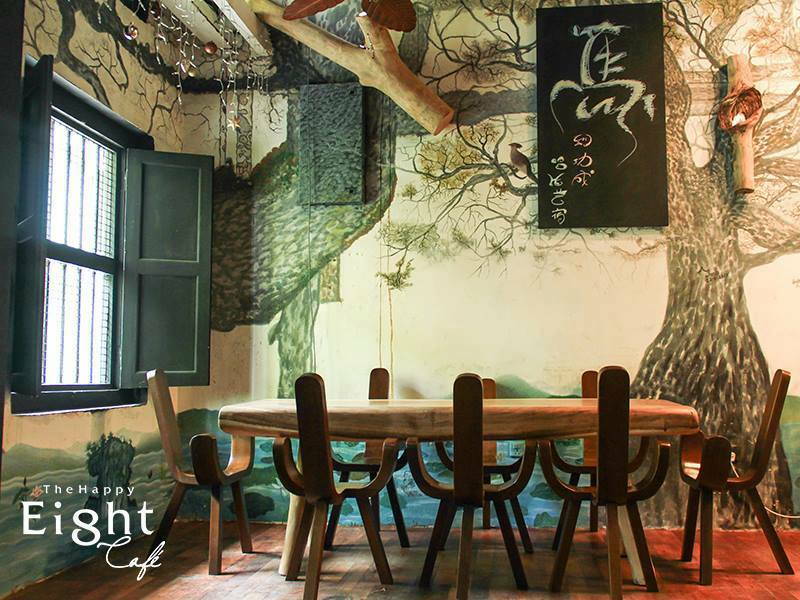 Located in heritage-rich Penang, China House is one of those venues you’d make a detour just to visit. 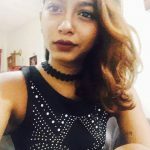 The multi concept venue is a space made up of 3 heritage buildings that are converted into 14 completely unique spaces comprising of cafes, bakery, a restaurant, gallery, and even one for live music. Although refurbished, the colonial building wears tradition, culture, and history proudly. 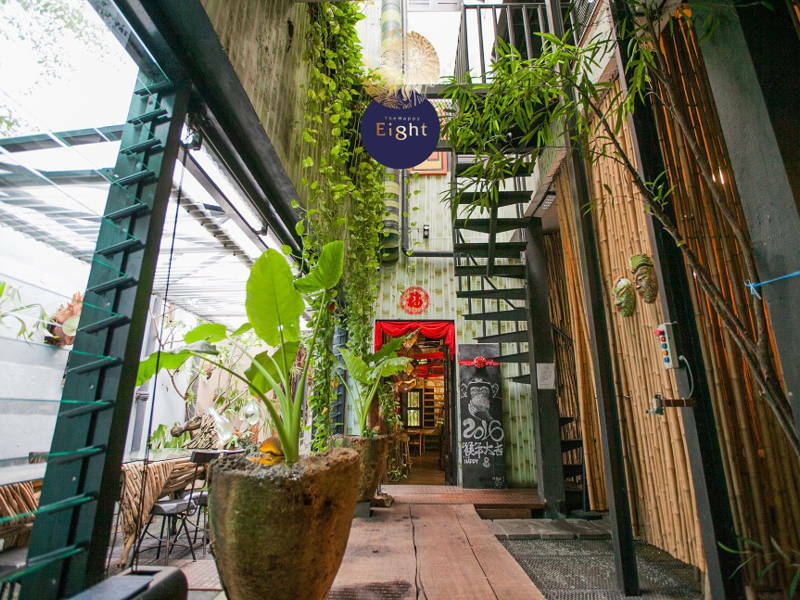 With long wooden tables, koi ponds, metal sculptures, vintage furniture and exquisite lighting, this venue is best suited for those looking to blend traditional and modern concepts into their home. 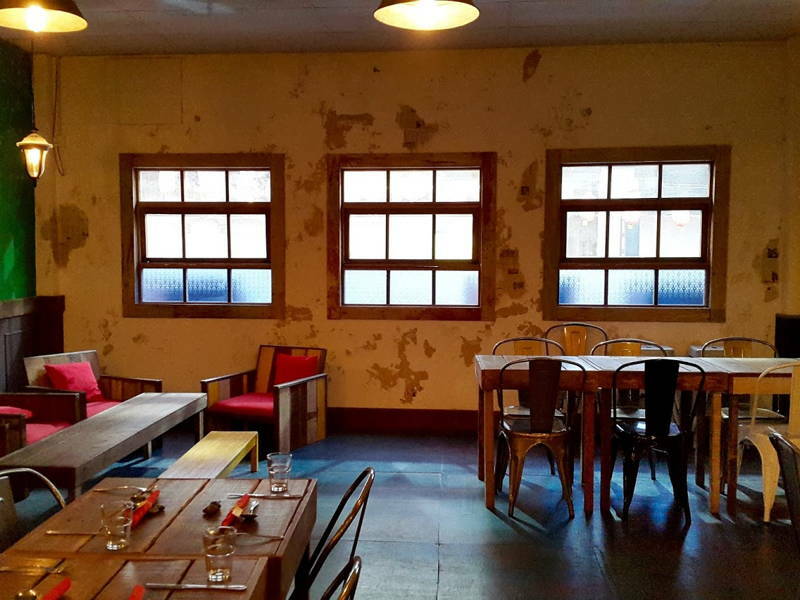 This café will excite the DIY guru in you. 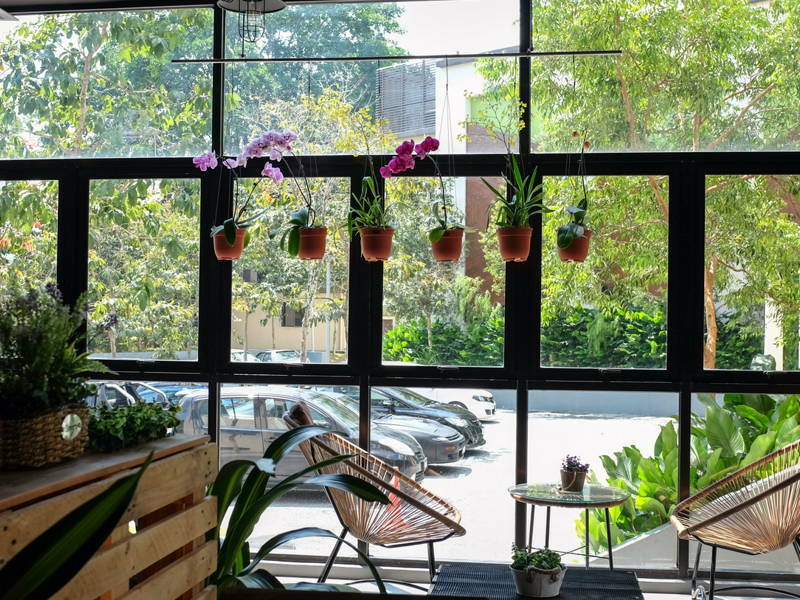 Aether Café is a hidden sanctuary amidst the bustling TTDI neighbourhood. 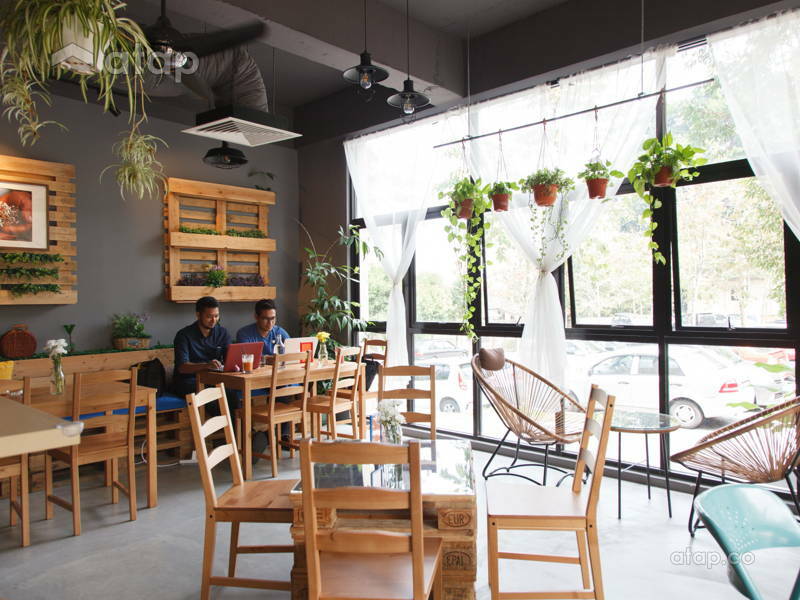 The owners personally put together a majority of the cafes wood-work furnishings – think crate wall plant holders, tables, and dividers. The venue oozes tropical and homey vibes. 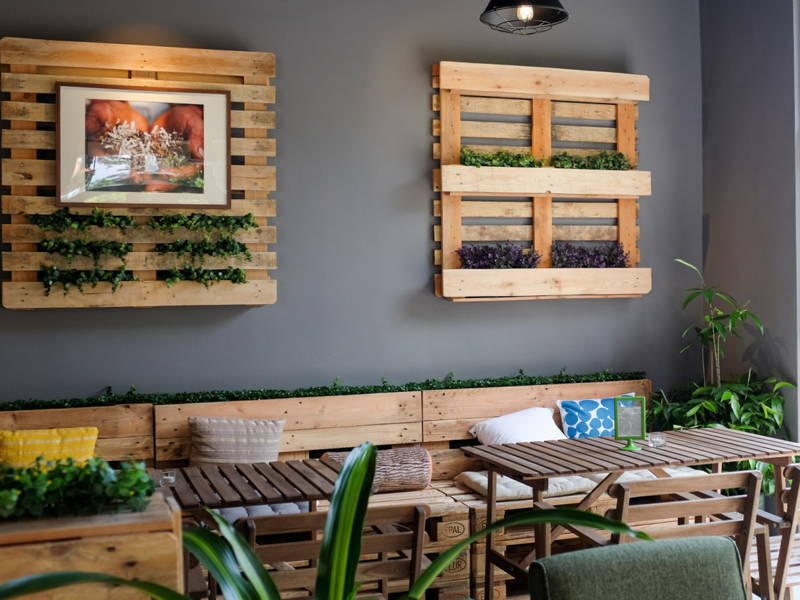 Aether flawlessly combines their tropical theme with rustic styled touches to create a venue with such a chill-out atmosphere, the perfect theme for homeowners who are looking to retreat to their homes after a busy day. 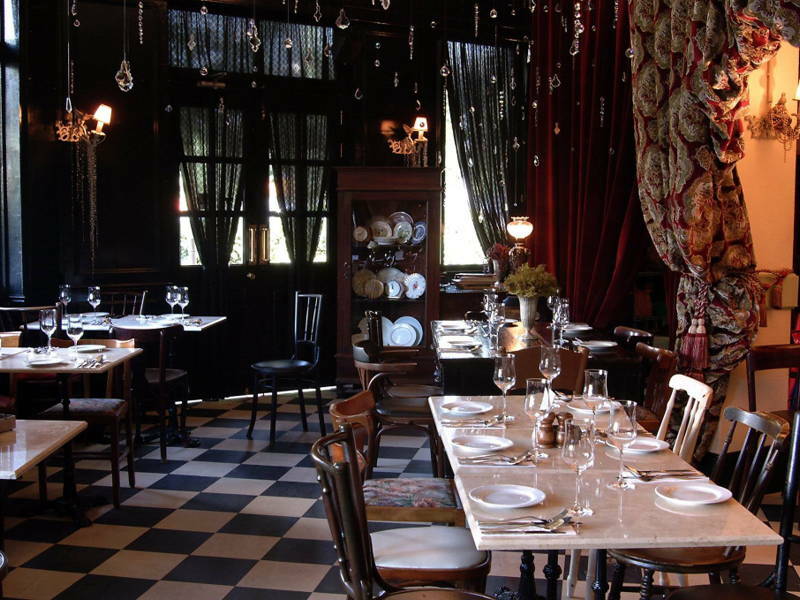 Tucked away from KL’s city centre, Café Café is an award winning fine French restaurant. 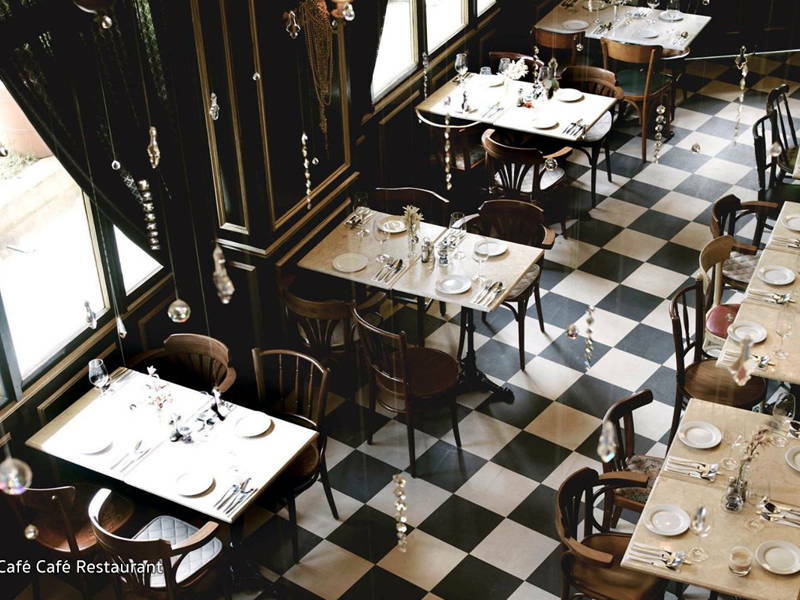 The monochromatic checker tiles high ceiling, and plate collections boast a contemporary Parisian ambience. Homeowners after a more contemporary theme, take note of the restaurant’s neutral colour palette with embroidered accents – perfect for the modern apartment. Feel inspired by these designs? Get free quotations from Malaysian interior designers.